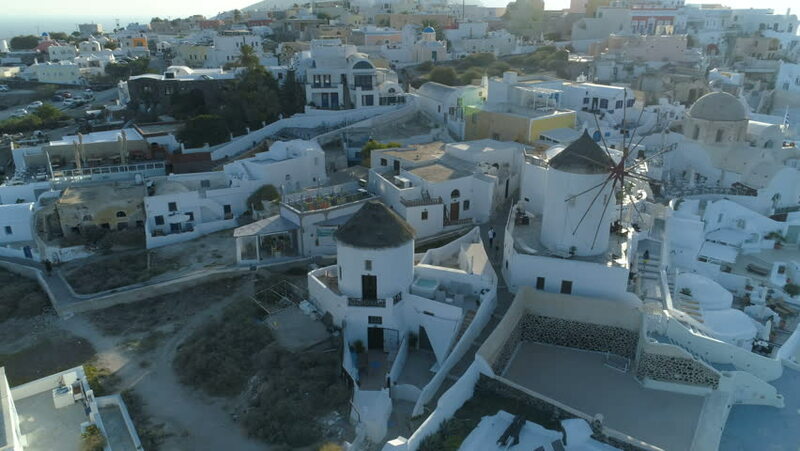 4k00:43Flying above white houses and famous old castle ruins on Santorini Island, Greece. Village of Oia. Morning sunshine rays.